#DMF: But Why Was Tebogo So Rude? First it was Queen now Tebogo? Rude people seem to be doing the most on Date My Family. In this recent episode of the dating show, viewers were introduced to a young P.R professional by the name of Tshego. Tshego was quite pleasant, not forgetting handsome and polite. His obvious reason for being on the show was because he was in search of a man he would like to start a solid relationship with. 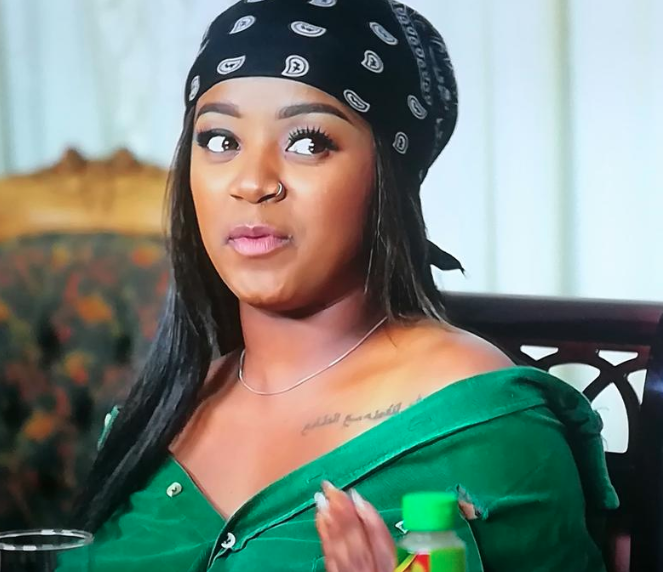 Tebogo was one of the friends who represented Tebogo (same name), the guy Tshego would've gone on a date with, but from the moment Tshego stepped into the room and the way she looked at him, we know that a lot of drama was about to unfold. The dinner date with the friends became extremely awkward, it actually felt like an ambush than a date. The drama began to escalate when Tebogo asked Tshego at what age did he began dating, when Tshego mentioned that he began dating in high school, Tebogo became agitated and mentioned that she asked him his age not school. From there on, Tebogo became extremely rude, taunting Tshego by asking him if he's a bottom or a top and telling Tshego that if he were to cook for her friend he would put in love potion in his food. That did not settle well with Tshego and the rest of the viewers who began to drag Tebogo for filth. We were cringing at every tweet that was directed at Tebogo. 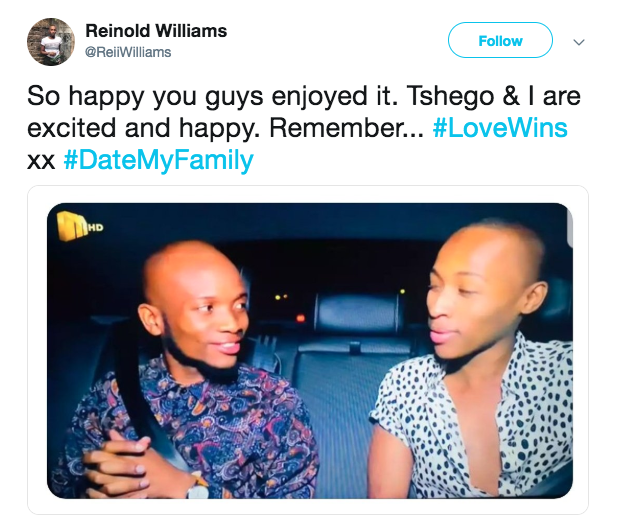 In good news, Tshego did not choose Tebogo's friend and opted to go out on a date with up and coming radio personality - Reinold Williams. The two were perfect for each other, their dinner date was amazing and the conversation just flowed. So many viewers approved of their dinner date. #DateMyFamilly I love them,I wish them all the best . Great choice Tebogo. 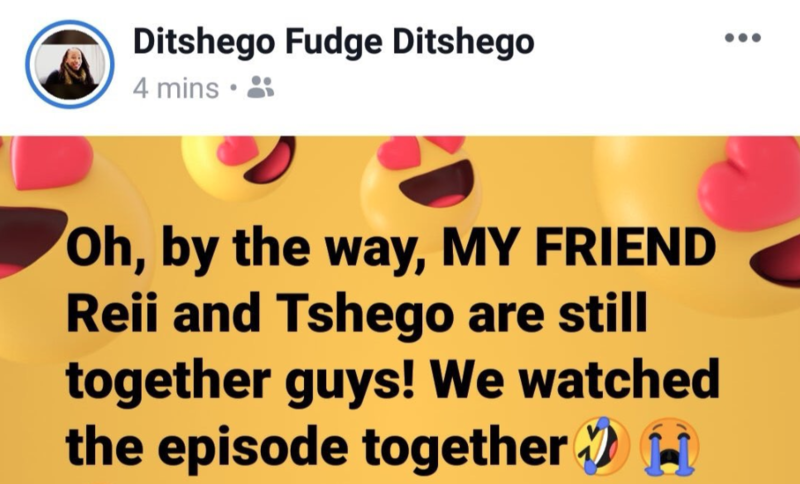 In more good news, Reinold's friend Ditshego - who represented Reinold during Tshego's visit confirmed that Reinold and Tshego are indeed together. Reinold also confirmed that he and Tshego are very happy and excited. We're so happy for the two, may their relationship last for a very long time.